Dark Matter TV series on Syfy. Image via Syfy.com. Actor Shaun Sipos joins the second season cast of the Dark Matter TV show on Syfy. Fans may recognize Sipos as teacher Eric Daniels on Life Unexpected, which was cancelled by The CW after two seasons. Sipos also recurred as Aaron Whitmore, during the fifth season of The Vampire Diaries. The second season of Dark Matter premieres on Syfy, Friday, July 1, 2016 at 10:00pm ET/PT. Sipos joins the cast of Dark Matter, including Marc Bendavid, Melissa O’Neil, Anthony Lemke, Alex Mallari Jr, Jodelle Ferland, Roger Cross, and Zoie Palmer. A Canadian science fiction series, Dark Matter is created by Joseph Mallozzi and Paul Mullie, and based on their comic book of the same name. In Canada, Dark Matter airs on Space. Add another number to the roster of Dark Matter. Actually, Shaun Sipos will be playing a character who has an actual name: Devon, a once world-class surgeon who’s now haunted by a dark past that may spell trouble for himself and his fellow crew members (and by that we assume the crew of the good ship Raza). Shaun Sipos has a few horror movies on his resume, including Final Destination 2 (2003), The Grudge 2 (2006), Lost Boys: The Tribe (2008) (also, awesome), Texas Chainsaw 3D (2013) and The Remaining (2014). His television credits include The Vampire Diaries, Life Unexpected, Melrose Place, Shark, Complete Savages and Maybe It’s Me. Dark Matter Season 2 commences on July 1 at 10/9c. What do you think? 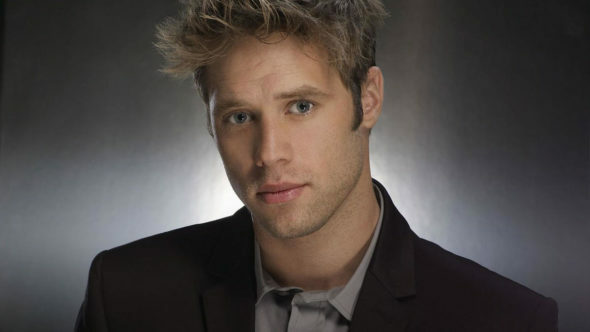 Are you a Shaun Sipos fan? Do you plan to watch the Dark Matter season two premiere, on Syfy? More about: Dark Matter, Dark Matter: canceled or renewed? Killjoys, Dark Matter: Does Either Syfy Show Deserve a Third Season? Dark Matter: The Seven Characters as Gilligan’s Island Castaways?